There’s a good chance the Chapter 11 filing by Global Aviation Holdings Inc., on Nov. 11, 2013, went unnoticed by most people. Probably the same amount of attention that its emergence from bankruptcy protection caused this past February. That’s right – February 2013. But the company becoming a serial filer isn’t the only thing interesting about the filing by Global, which provides military, cargo, passenger and commercial charter air transportation services through two airlines — World Airways, Inc. and North American Airlines, Inc. First of all, the Peachtree City, Ga., company provided charter services for the presidential campaigns of President George W. Bush, Secretary of State Hillary Clinton and President Barack Obama. And, oh yes, the company even flew the Minnesota Vikings to London to play a National Football League game. For these, and other reasons apparently not linked to its double-dip into Chapter 11, the documents accompanying its bankruptcy filing provide some interesting history – not to mention messaging. For instance, consider the declaration filed by William A. Garrett, executive vice president and chief financial officer. “Global Aviation has come to be known as the gold standard in providing safe and high-quality service to the United States military,” Garrett says. He also states that the company has developed a reputation for safe and reliable commercial cargo and passenger services, which it provides to a broad customer base that includes major corporations, domestic and international airlines, logistics companies, presidential campaigns, sports teams, entertainers and production companies. From a messaging standpoint, of course, this is standard boilerplate stuff that a company would use in good times or bad. It may be a legal document, but this is PR messaging. Deeper reading into Garrett’s declaration goes beyond the bumper-sticker descriptions, however. He notes that Global emerged from its previous visit to Chapter 11 with a go-forward operating strategy where future success would continue reliant on the needs of the military and certain key commercial cargo customers. With good reason: Global’s World unit operates large, wide-body freighter planes. And they need to be filled to the top for the company to succeed. Unfortunately for the company, and what it apparently didn’t see when building that go-forward plan, was that the government would cut back on its demand for World’s services. On Sept. 30, 2013, the U.S. military apparently surprised the company and others when it announced that significant additional cutbacks would be coming on Dec. 1, 2013. Oops. Guess that go-forward strategy forgot the part about broadening out the customer base so the company wouldn’t be so dependent upon a single sector. With Michigan Gov. Rick Snyder scheduled to testify next Monday in the Detroit bankruptcy trial, there is a great deal of speculation regarding what he might say. The issue being debated, of course, is whether the city is entitled to court protection from its creditors under Chapter 9 of the U.S. Bankruptcy Code. Despite what we see in movies and television, and read in legal procedurals, very little new information ever surfaces in a trial. Moreover, given that the governor will appear well prepared and rehearsed, it is likely we will hear a recitation of the key messages that underlie his approval of the process. In his letter, which approved emergency manager Kevyn D. Orr’s recommendation that the city file, Gov. Snyder supported his position with four distinct, but interlocking, messages. The messages and key support points are listed below. They probably will drive his testimony on Monday. Inability to meet obligations to its citizens. Within this category, expect to governor to term Detroit’s woes as “unique,” and to say that services can’t be cut … and that revenue needs to rise to provide more service. Simple, right, just cut spending? Gov. Snyder probably will cite the following to demonstrate that’s not possible. •	Detroiters wait an average of 58 minutes for police to respond to a call, compared with the national average of 11 minutes. •	Only 8.7 percent of cases are solved, compared with a Michigan-wide average of nearly 31 percent. •	Just one-third of the city’s ambulances were in service in the first quarter of the year. •	Some 40 percent of the city’s streetlights didn’t function in the quarter. •	There are nearly 80,000 abandoned structures in the city. Inability to meet obligations to its creditors. 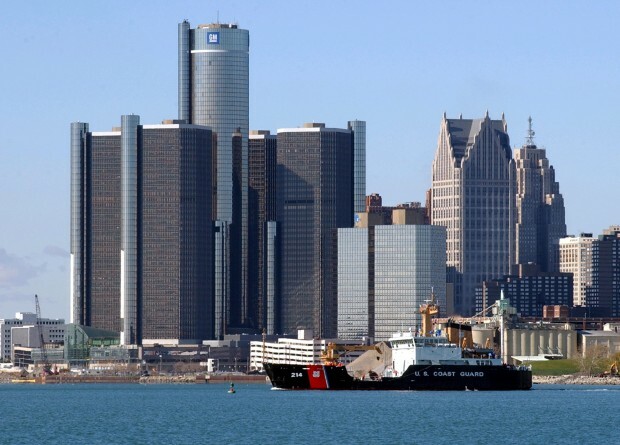 It already has been widely reported that Detroit has more than $18 billion in accrued debt. The governor certainly will repeat that number numerous times. He also will tell the court the following: The city’s tax rates are at their current legal limit and that — even if it could legally increase taxes — Detroiters obviously could not pay more. So, we also can expect him to sum it up by noting that Detroit, even with the highest tax rate in the state, has been unable to meet its basic obligations. Failure to meet obligations to citizens creates failure to meet obligations to creditors. This is the linkage point, and Gov. Snyder likely will point out that the city’s inability to serve its citizens has in turn led to a 63 percent decline in population – with a 28 percent decline since 2000. And, for those in the court who might not be following, he will point out that a lack of services causes a decline in population, which causes a decreasing tax base, which causes the need for bankruptcy protection. Linkage. And he will state what should be obvious: The city is stuck in the middle. It cannot save money by reducing services and it cannot raise money through higher taxes. Only one feasible path offers a way out. Finally, the court appearance – and any subsequent conversation with the media – should conclude with the final message that bankruptcy is the only available path. And, smartly, expect him to soften this stark message by wrapping it in “personal blanket.” And that means he will tell the court that bankruptcy will provide solutions for the citizens of the city, who deserve to know what the city can provide. And he will hold out a promise of the city reinventing itself without the heavy weight of debt. It has been more than three months since the governor’s letter. Don’t expect his key messages to have changed much.